Commuting daily into the city I normally have a huge top box to carry my huge security chain, work clothes and lunchbox. The top box is very practical on workdays, but total overkill when on a weekend blast where something more discrete would be preferable. 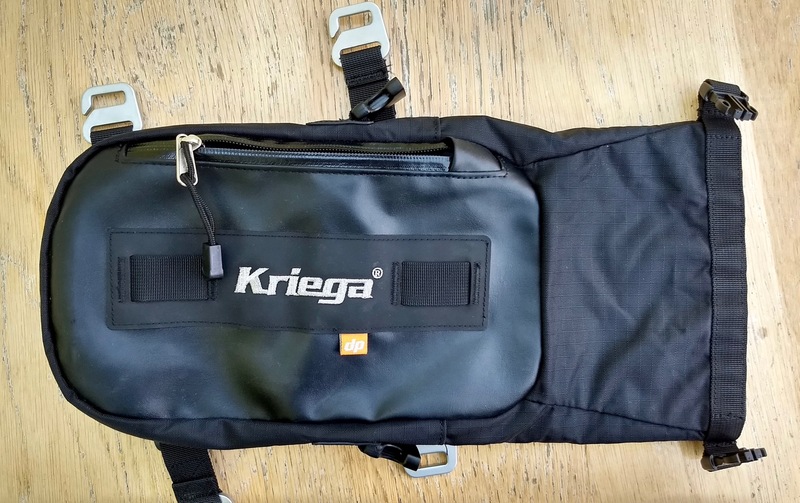 Kriega are a quality brand I’ve heard many great recommendations of, so were a default choice when I picked up this US-5 DryBag tail pack from Infinity Motorcycles in Holborn for £50. 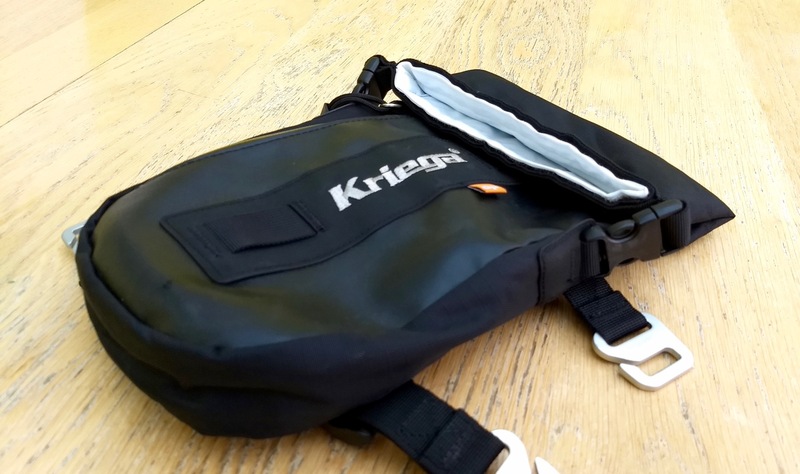 It is the smallest tail pack Kriega do at just 5 litres and not cheap, but I’m hoping it’s quality will make it good value. 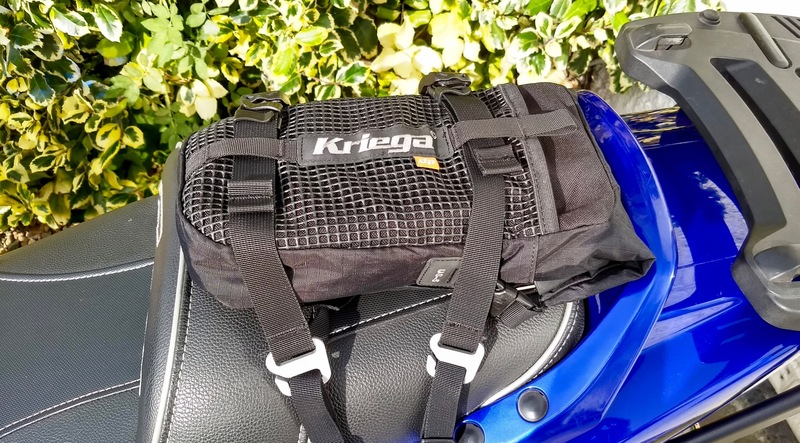 The US-5 tail pack claims to be completely waterproof and fastens to the rear of your bike onto the pillion seat, however, it can also be strapped to larger Kriega bags and luggage to gain more capacity. 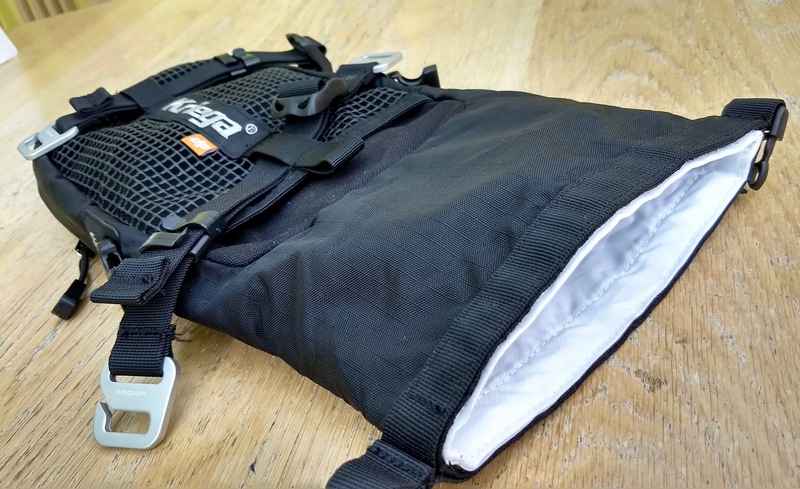 Fours straps are provided to hook around the frame under your seat, which then poke out to attach the tail pack to. 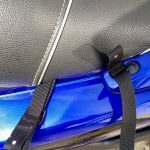 Otherwise a specific strap to bolt onto your bike is also provided. 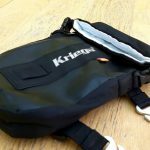 Two further straps then thread through the bag and simply clip onto the other straps attached to your bike. 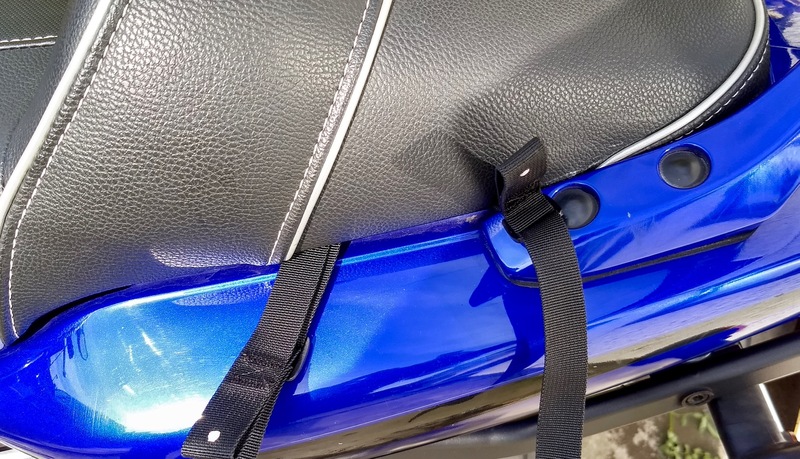 On my Fazer, the four default straps made for a simple install, all sorted in 5 mins. 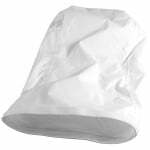 Then the bag itself can attached or detached with minimal fuss. 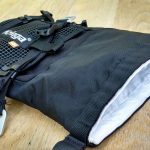 The bag itself has a liner which can be removed, guess that’ll be useful if your lunch soup spills everywhere… The end folds over and clips down to effectively seal the bag, then you have an open pocket one side and a (waterproof) zip up pocket on the other side ideal for small items. 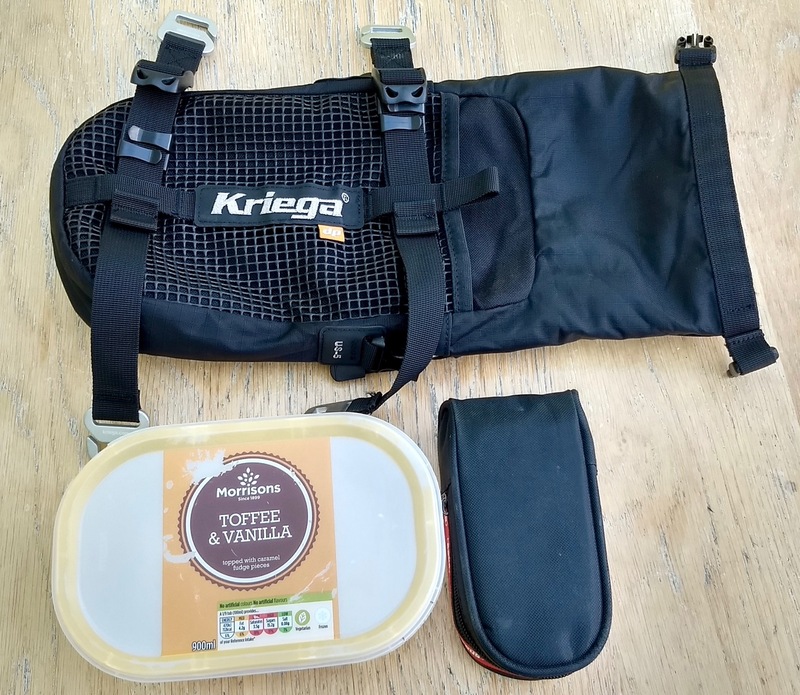 The main compartment is only 5 litres, so pretty dinky, but big enough for a lunch box and a disc lock on weekdays and some water bottles and cereal bars on weekends. But crucially it is small enough to remain discrete and tidy on the sportiest of bikes. Build quality appears top notch, all very sturdy, but time will tell how it truly stands up – I’ll report back here in due course. In use the bag did exactly what it was supposed to, it carried my stuff, kept it dry and it stayed put. It was handy to quickly peel off the bike when parked and take valuables with you. 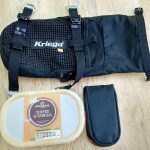 In this scenario it would have been nice if it had been supplied with a shoulder strap. 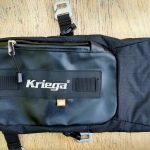 Overall, Kriega clearly make some quality gear that does the exactly what it supposed to, it’s not the cheapest, but as with most things you get what you pay for. 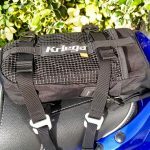 The Kriega US5 replacement liner 100% waterproof. 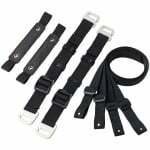 A replacement set of two hook straps and four subframe loops for US-5 only.